...two teams succeeded in demonstrating arbitrary host code execution on VMware Workstation. 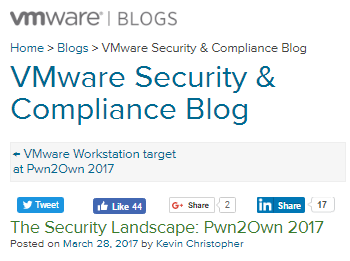 Today, VMware is releasing updated versions of VMware vSphere ESXi, VMware Fusion, and VMware Workstation to address these vulnerabilities. VMSA-2017-0006 contains details on impacted versions and the releases which contain fixes. vSphere Security Guide. Among the recommendations in the guides is to remove unnecessary virtual hardware. I have only tested this method when upgrading from 6.5.0a Build 4887370 to Build 5224934, your experience from earlier 6.x versions may vary. If you're in production, beware, this just came out 3 days ago. This article is for the lab, where you may want to give this critical patch a try. 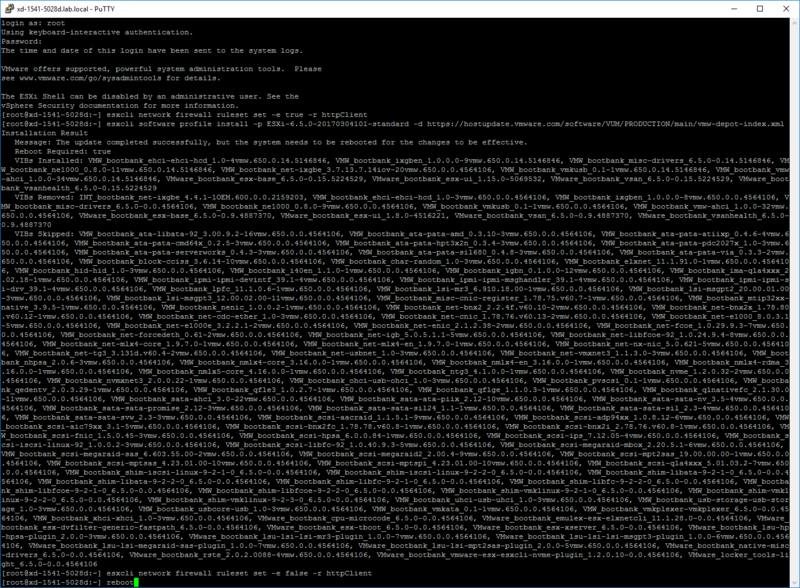 All the background story on how this easy ESXCLI upgrade method came about was covered in my earlier articles about updating 6.0 U2 and 6.5. Wait time depending mostly on the the speed of the ESXi's connection to the internet, and a little on the speed of the storage media that ESXi is installed on. 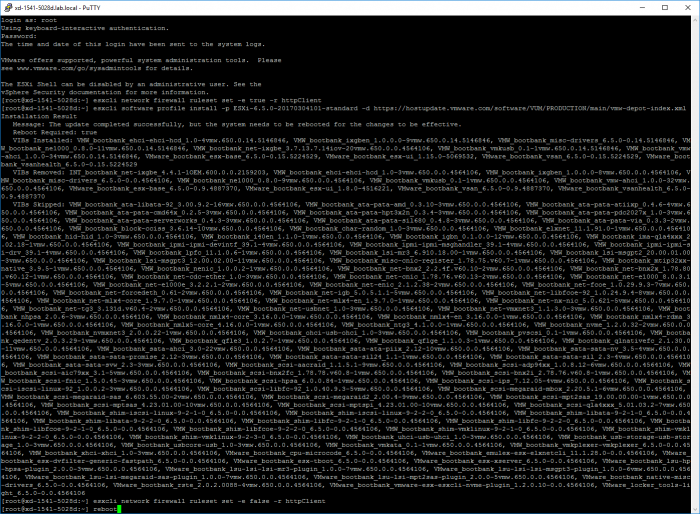 Here's how my upgrade from 6.5.0a Build 4887370 to 6.5.0a Build 4887370 looked, right after the 1 minute download/patch. 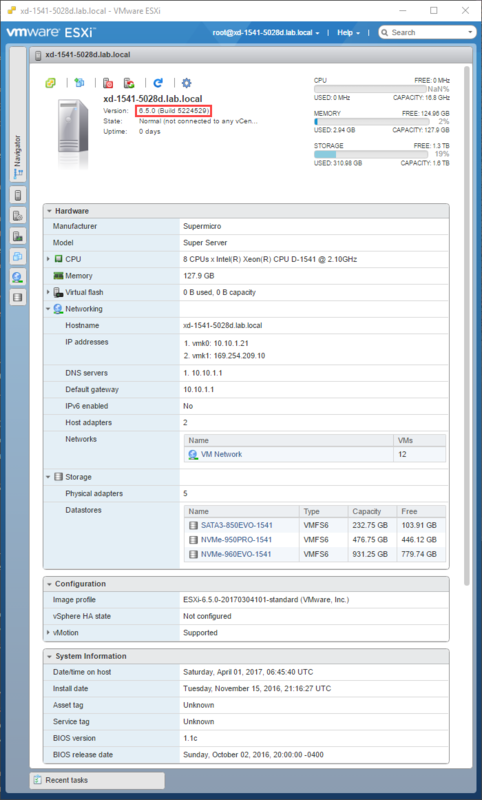 ESXi Host client view of Build 5224529. That's it! 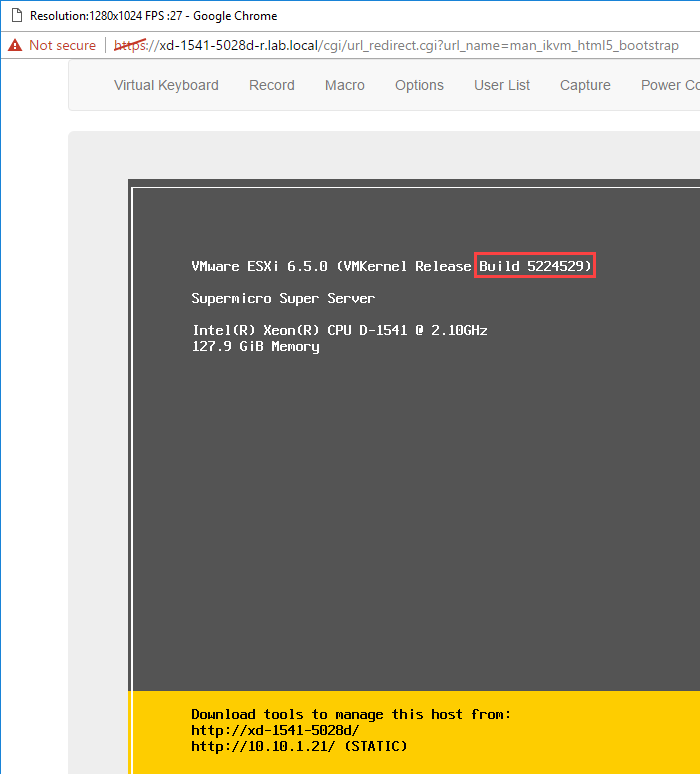 When the reboot is complete, you'll see for yourself that you now have the latest ESXi, Build 5224529, as pictured above. Now you have more spare time to read more TinkerTry articles!